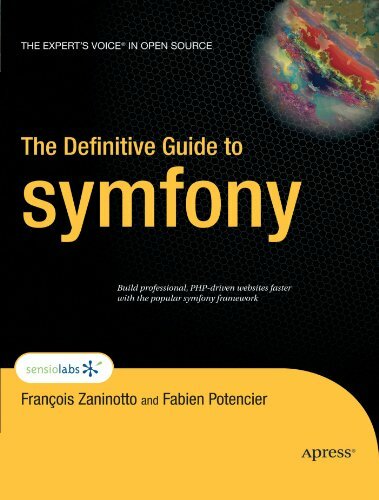 This book introduces you to symfony, the leading framework for PHP developers, showing you how to wield its many features to develop web applications faster and more efficiently, even if you only know a bit of PHP. You will learn about the Model-View-Controller architecture and the crucial role it plays in making frameworks like symfony possible. The book also covers framework installation and configuration, and shows you how to build pages, deal with templates, manage requests and sessions, and communicate with databases and servers. You will see how symfony can make your life easier by effectively managing form data, enhancing the user experience with Ajax, internationalizing applications for a global audience, and using smart URLs. This guide is the flagship project of the PHP Security Consortium, an international group dedicated to promoting secure programming practices. The guide offers information pertaining to a number of common security concerns for all PHP developers. I provide a practical approach to functional programming and show how it compares to other programming paradigms. The book is filled with examples that showcase functional concepts, plus using PHP in a ways you've probably never though it could. This book teaches PHP from scratch, no PHP programming skill is assumed. The topics are ordered in such a way as to allow newcomers to progress smoothly and quickly in their learning without having to copy thousands of lines of code.